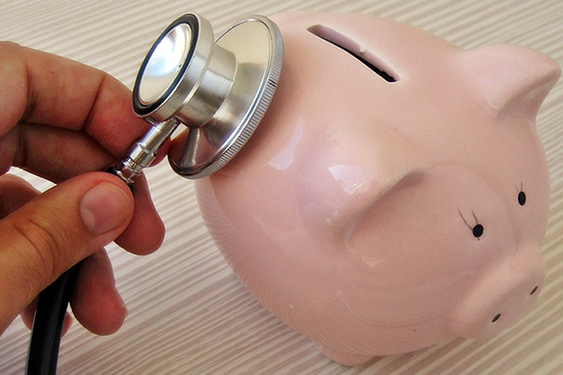 Health insurance will cover most, or all, of the cost of private medical treatment. It will cover conditions and issues that you may have at a future time. You are insuring your health for future issues just the same way you would insure a vehicle. Having insurance ensures that you will have quality care if you have minor and major sicknesses and injuries. It can cover everything from the flu to broken bones, heart attacks, cancer, and more depending on the type of coverage you choose. People want to buy insurance so they will be able to get treatment without waiting on the National Health Service. Some types of issues are not covered under insurance though. These include pre-existing conditions, coverage for incurable illnesses, accidents and emergency admission, and GP services. Now, it is time to examine the three basic versions of healthcare insurance to get a better idea of what they offer. Budget insurance coverage is a good option for many who do not have the finances to pay for more encompassing care. This type of insurance will provide coverage for treatments, treatment for patients who are in the hospital, and could cover things such as psychiatric treatment, radiotherapy and chemotherapy, and even surgery. In some cases, this can offer coverage for outpatient cancer treatment for up to a year, as well as costs associated with ambulance transport. Standard coverage policies are in the middle of the road in terms of cost and care coverage. They will cover most of the hospital fees, and they may cover the majority of the specialist fees as well. It offers all of the features of budget cover options, but it comes with even more features and benefits. Of course, the exact options within this range of coverage tend to vary based on the insurance provider, so it is always important to learn everything that the provider’s plan offers before signing. Some, for example, might include outpatient psychiatry, specialists, and other features. This is top quality coverage and it offers the absolute greatest in terms of features and options. They will cover everything in the other tier coverage plans, as well as quite a few additional items. While it is the costliest of the options, it provides the most safety for buyers and their families. Those who have the money will generally want to look at the companies offering comprehensive coverage options when they are choosing an insurance policy. The more coverage one has the better.